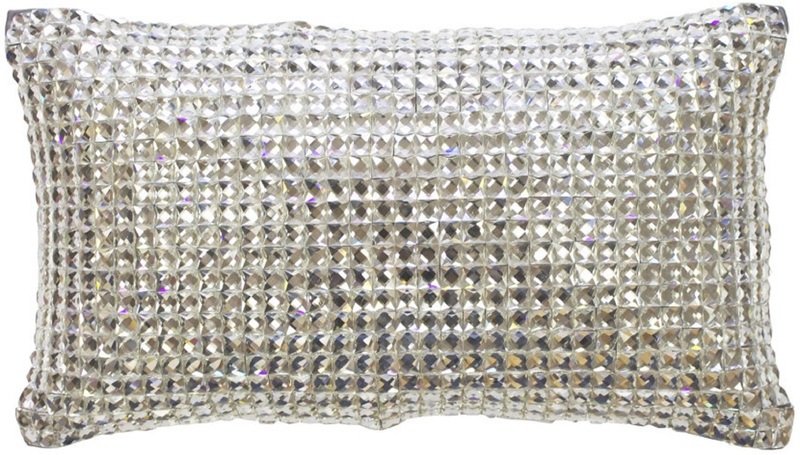 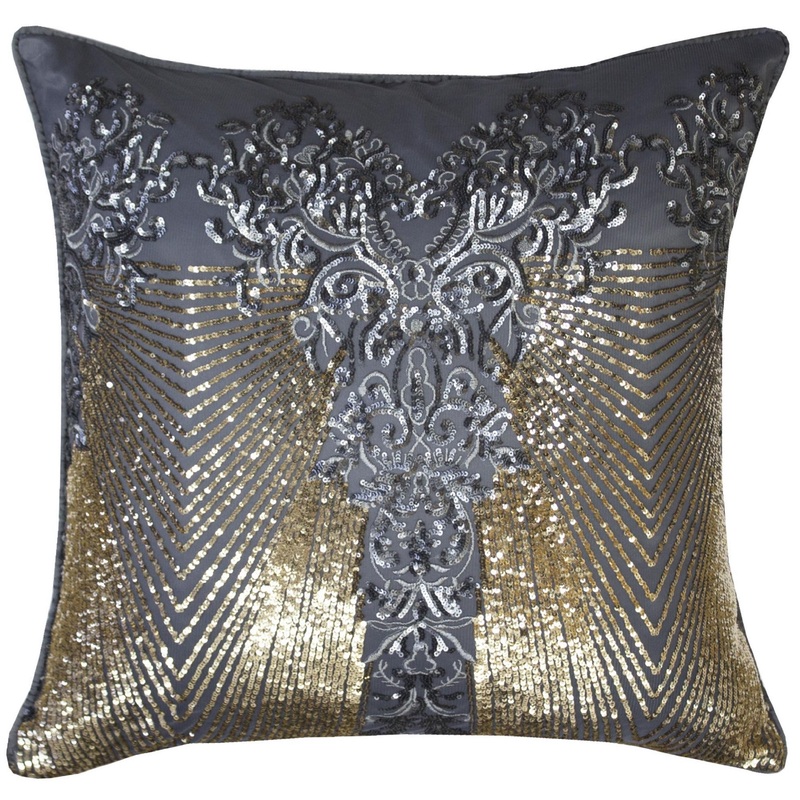 This stunning design is Kila from the new Kylie at home range. 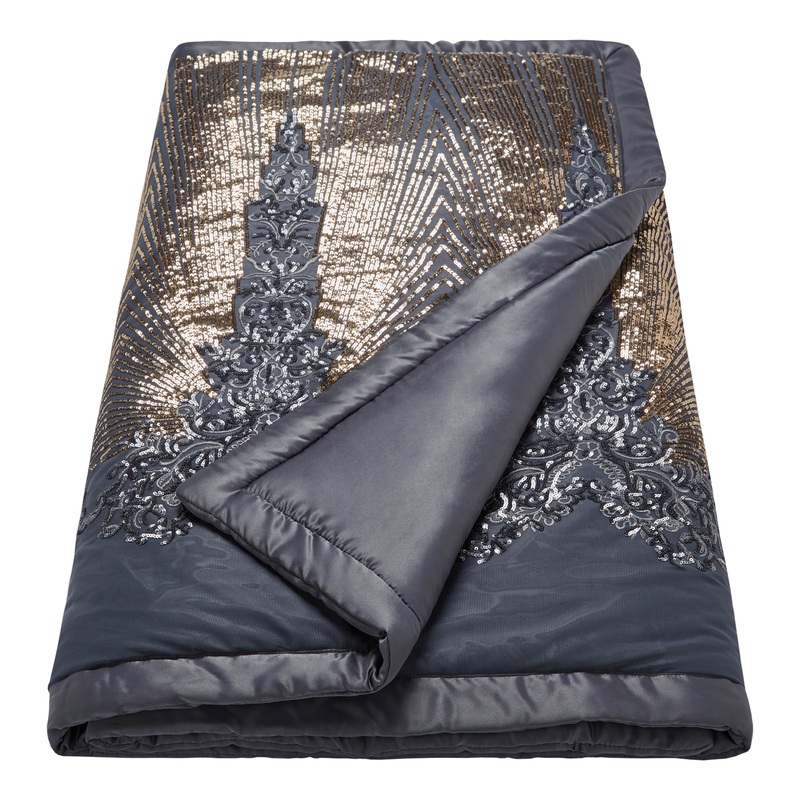 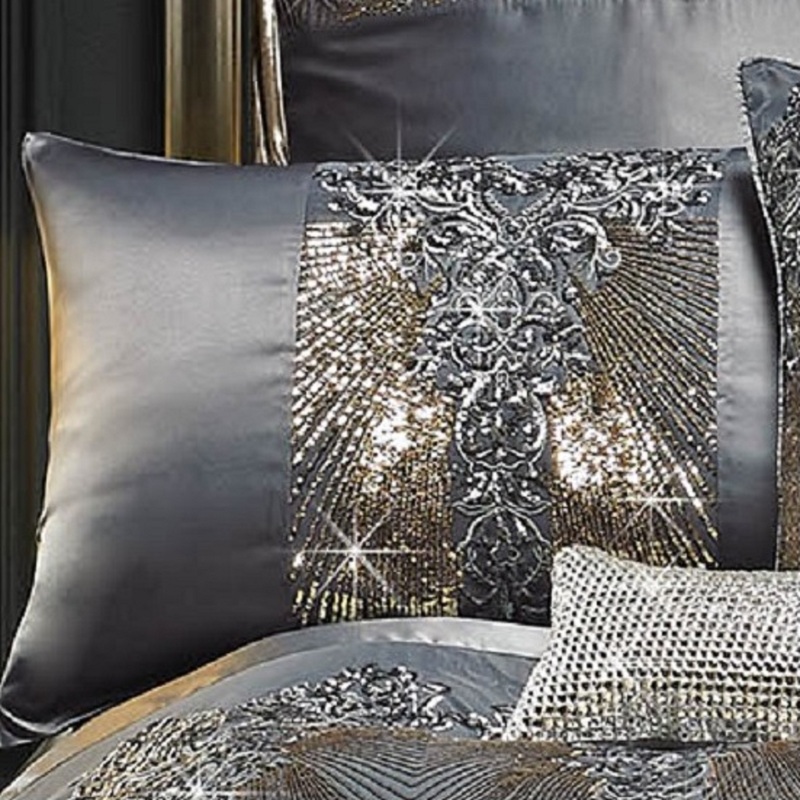 In a sophisticated palette this dazzling bed set is an eclectic mix of sequins and embroidery. 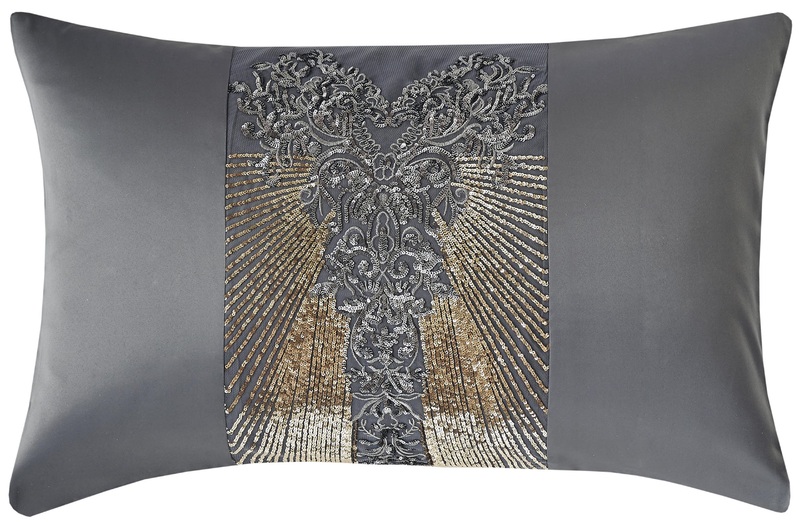 Complete this dramatic look with the coordinating Kila accessories and signature Square Diamond cushion.